Please complete and submit both the Enrollment Form and Contract. The Medical Form should be submitted to your Pediatrician for completion. Review Parent Handbook and print for your records. 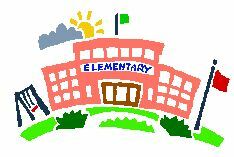 Your child must attend one of the following schools: Fort Salonga, Parkview or RJO. The program is held at Fort Salonga, Parkview, and RJO with the exception of the morning program for Fort Salonga and Parkview which is held at RJO. The Kings Park School District will provide transportation from RJO to the child's respective school in time for classes.